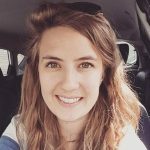 After growing up in Fleet, Hampshire, Hannah spent a year serving with BMS World Mission on a Thailand Action Team in 2010, then studied for a BA Theology at Exeter University. She then served as a Church Ministry Intern at Pavilion Christian Community, and is now working as a Regional Mission Mobiliser for Serving In Mission, UK. In this role she works with those exploring a call to mission, supporting them from enquiry through to debrief, and partnering with churches to send and receive equipped gospel workers to share the good news of Jesus. She loves outdoor adventures, being creative, and all things elephant related.